There’s more than a jawbone of a mule laying next to you tonight. That’s right. Let’s get up and do something about it. Let’s forsake these old cots, and stretchers, and wheelchairs, and crutches, and say, “It belongs to the devil. I have no more to do with it.” That’s right. “I claim Jesus Christ’s Word’s right. Live or die, I’m with it.” That’s right. Toe the line with Him. 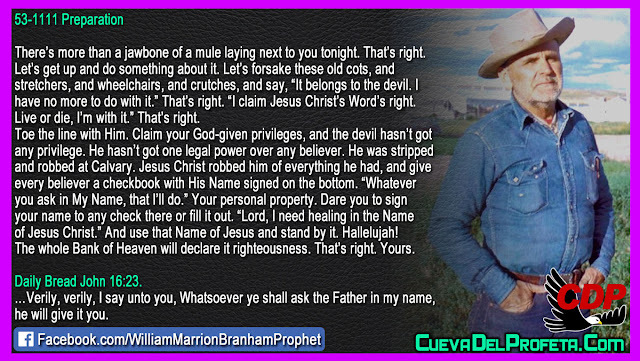 Claim your God-given privileges, and the devil hasn’t got any privilege. 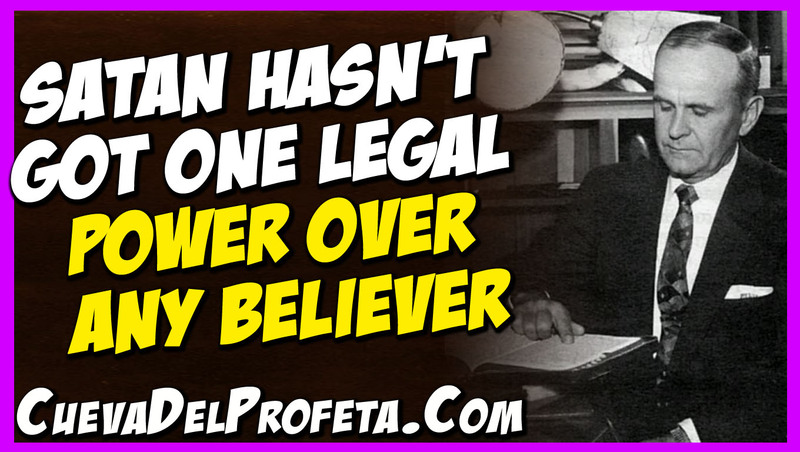 He hasn’t got one legal power over any believer. He was stripped and robbed at Calvary. Jesus Christ robbed him of everything he had, and give every believer a checkbook with His Name signed on the bottom. “Whatever you ask in My Name, that I’ll do.” Your personal property. Dare you to sign your name to any check there or fill it out. “Lord, I need healing in the Name of Jesus Christ.” And use that Name of Jesus and stand by it. Hallelujah! The whole Bank of Heaven will declare it righteousness. That’s right. Yours. …Verily, verily, I say unto you, Whatsoever ye shall ask the Father in my name, he will give it you.